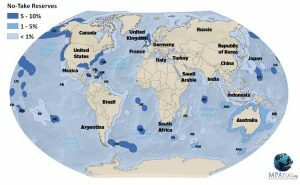 About 3 % of the world’s oceans are currently designated as Marine Protected Areas (MPAs), to provide critical habitat for marine animals to thrive without human-made pressures like fishing or commercial traffic. However, it remains unknown whether the existing network of MPAs provides adequate protection for many endangered or threatened marine animals. This is particularly true for migratory animals such as sharks, which can be elusive and difficult to locate during their long-distance travel. Because these highly mobile animals utilize a range of habitats throughout their lives and travel along largely unprotected migration routes, migratory marine animals may be especially susceptible to dangers such as fishing, habitat disturbance, and other forms of human interference. Therefore, a better understanding of habitat use and movement patterns of migratory animals is essential for the development of conservation strategies. A new study by Reynolds et al. uses satellite telemetry to track the migration patterns of the largest fish on earth, the whale shark Rhincodon typus. Added to the IUCN Red List as an endangered species in 2016, whale sharks are currently threatened by human activities such as fishing, marine pollution and commercial shipping, and are in greatest danger when they range outside of protected habitats. 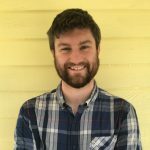 Though whale sharks are known to aggregate in protected coastal areas for several months each year, these large fish are highly migratory and the extent to which they remain in MPAs during their yearly movements remains unknown. Working at the Ningaloo Reef off the western coast of Australia, Reynolds et al. tagged 29 whale shark individuals over 5 years to determine their movements through the Indian Ocean. The tags, which communicated with a network of satellites, were attached to the flank or dorsal fins of the sharks and designed to release 6-12 months after deployment. From these data, the authors were able to create a movement map for each of the sharks. 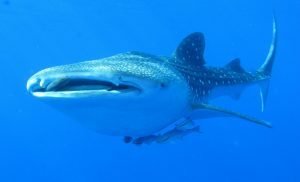 They found that though many of the whale sharks spent much of the year in MPAs, particularly along the protected Ningaloo Reef, the sharks often ranged into unprotected areas along the western Australian coast and Indonesia. Surprisingly, though the sharks showed a preference for warm coastal habitat, they were also occasionally found in deep waters far from the coast. Based on these results, the authors were able to identify areas that require increased protection for these sharks. Movement studies like this one are vital for planning networks of protected areas that adequately encompass important habitat throughout the entire life cycle of threatened animals. 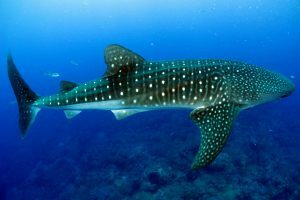 For the whale sharks, future conservation should focus on increasing protections in areas commonly occupied by the sharks such as reefs and shallow waters along the coastline, but should also incorporate shark migration pathways through deeper waters and along unprotected coastline where sharks may be particularly susceptible to human interference. Efforts such as restriction of tourism and commercial boating will allow whale sharks to move without harm between their primary habitats, thus protecting this endangered giant. Reynolds, S.D., Norman, B.M., Beger, M., Franklin, C.E., and Dwyer, R.G. 2017. Movement, distribution and marine reserve use by an endangered migratory giant. Diversity and Distributions 23 (11): 1268-1279.